Select iPad Cases over 50% off! Looking for an iPad case? Hurry over to Amazon now where select cases are over 50% off! 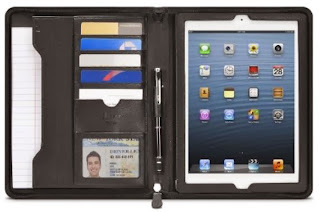 -iLuv CEO Folio Multi-Purpose Portfolio Case for Apple iPad 4 $25.69 (Retail $79.99) & Free Shipping. -iLuv iCA8J345BLK CEO Folio for iPad mini - Black $30.49 & FREE Shipping on orders over $35 (Retail $64.98) or Free with Amazon Prime. -Targus Vuscape for iPad 3 and iPad 4th Generation, Wi-Fi / 4G Model 16GB, 32GB, 64GB THZ15703US (Calypso Pink) $9.71 (Retail $44.79) & FREE Shipping on orders over $35 or Free with Amazon Prime. -Trident Case AMS-NEW-iPad-BL Kraken AMS Case for iPad 4 - 1 Pack - Retail Packaging - Blue $34.50 (Retail $69.95) & FREE Shipping on orders over $35 or Free with Amazon Prime. Did you get a Kindle this year or have the Kindle app on your mobile device? 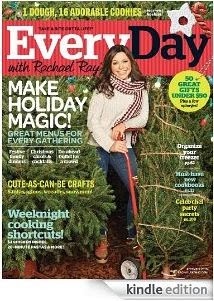 Check out these magazines you can get for just $5.00 per 1-year subscription through January 5th. Plus, check out all the other magazine offers available HERE!